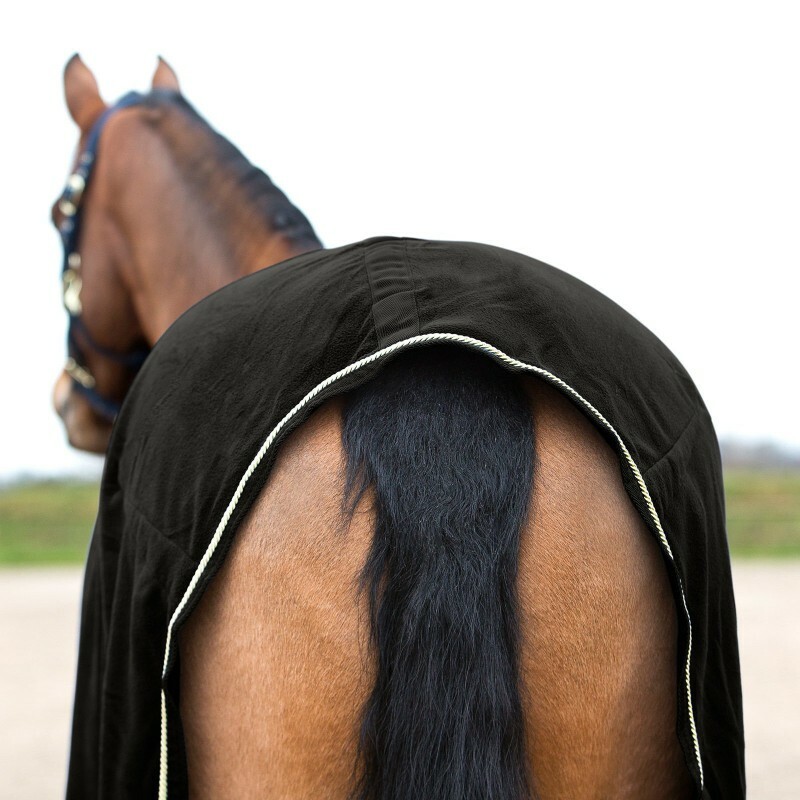 HORZE - An elegant fleece cooler that works hard and looks stunning. 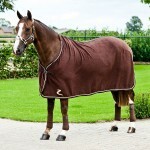 Keep your horse comfortable and looking glamorous between events wearing this stunning Fleece Show Cooler. 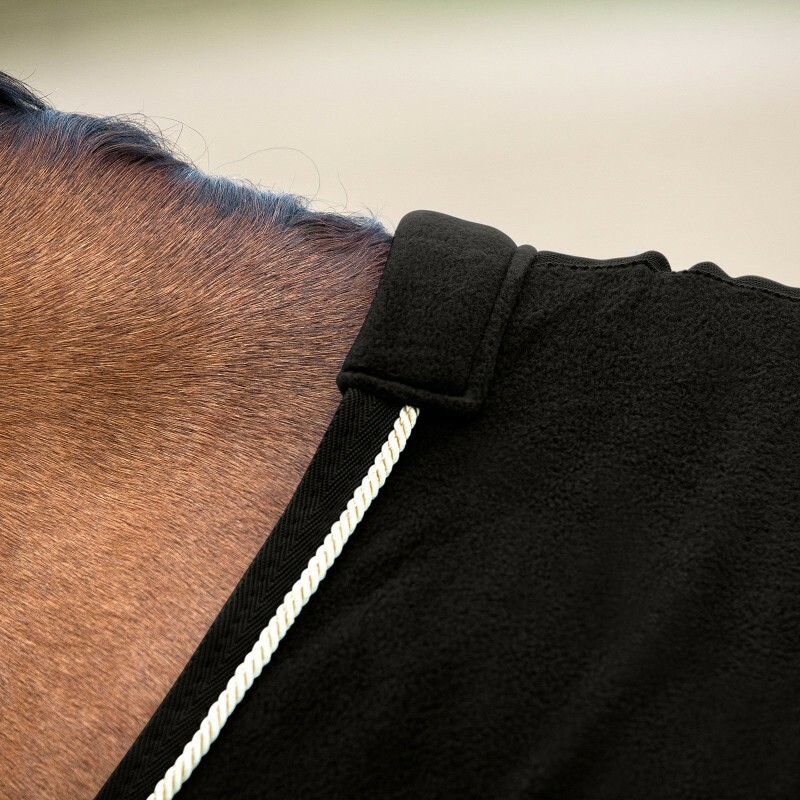 Luxurious fleece lies perfectly on your horse thanks to the strategically placed contour darts on the rear, a classic neck cut, tail strap and an adjustable front buckle to assure the fit is just right. 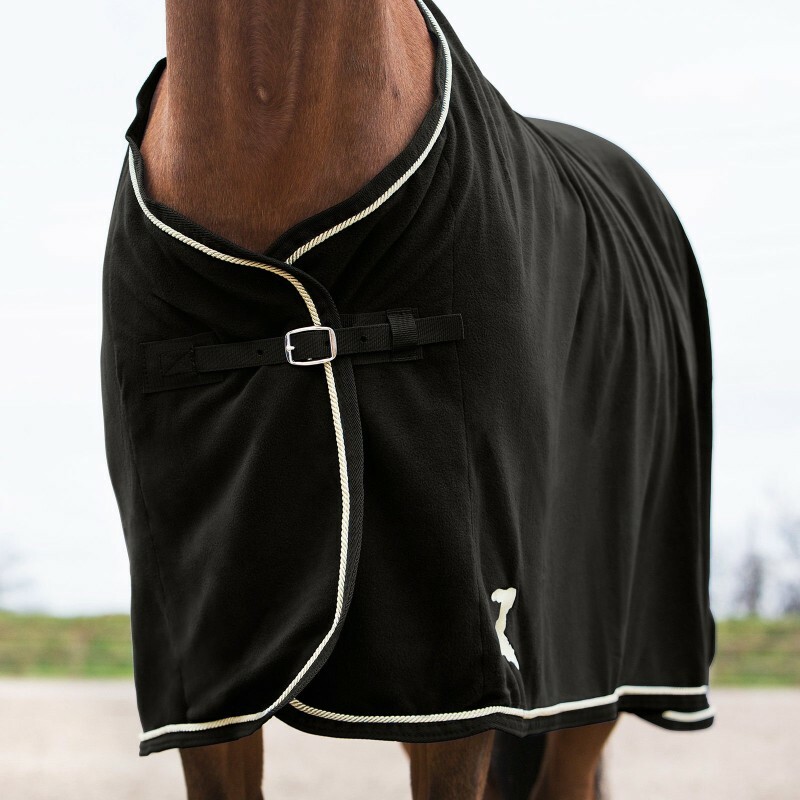 Lightweight anti-pill fleece wicks away moisture from your horse to keep him dry and warm. 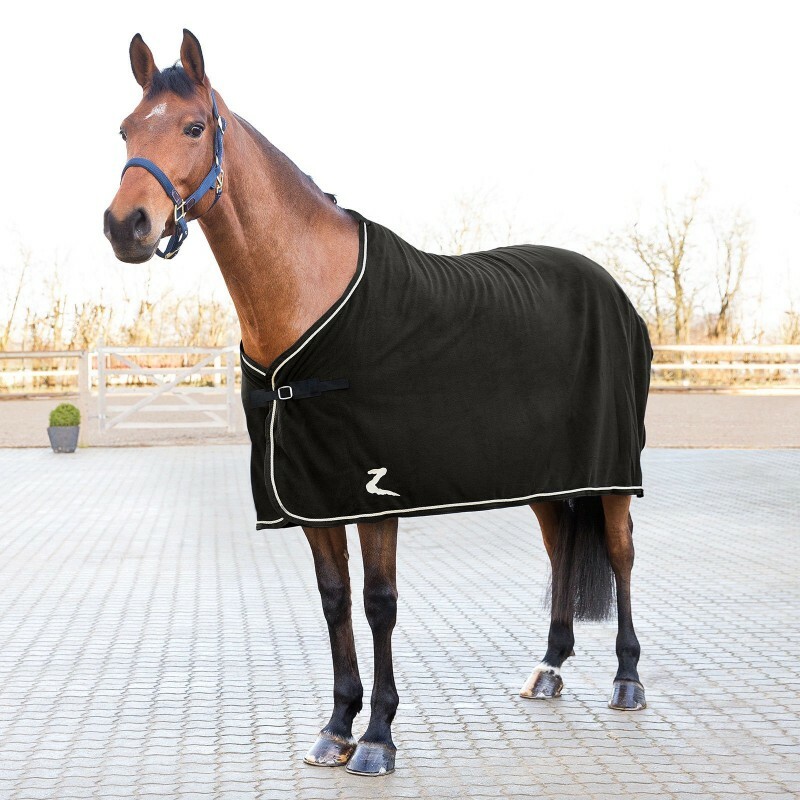 Use this cooler to slow the rate of drying after intense workouts or after bathing your horse to help prevent hypothermic conditions. 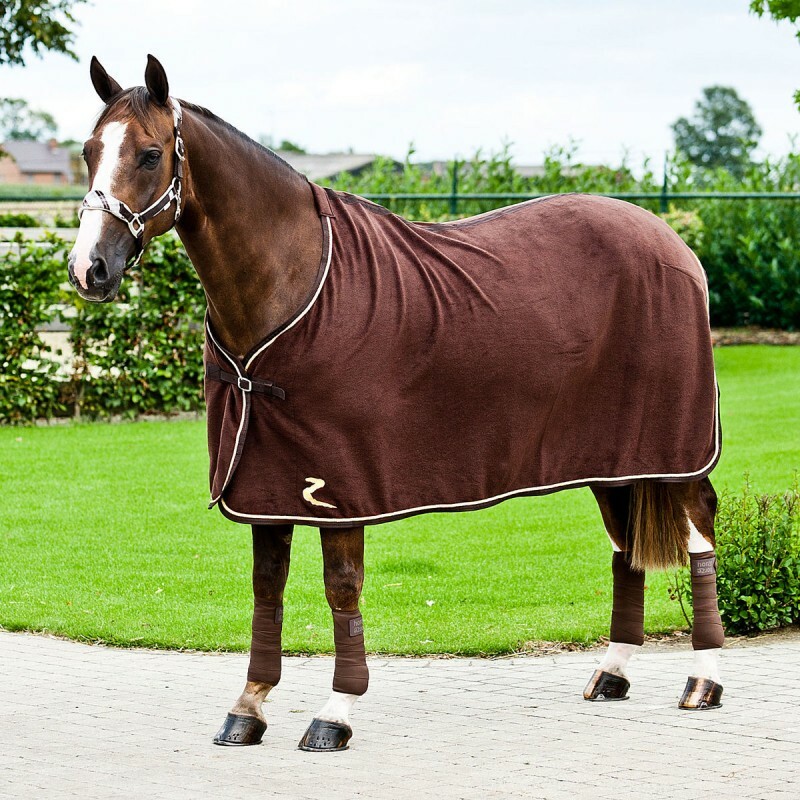 The rich fleece color comes to life with pale gold braided cord defining the tapered bottom adding just enough dazzle to make the other horses drool with envy. 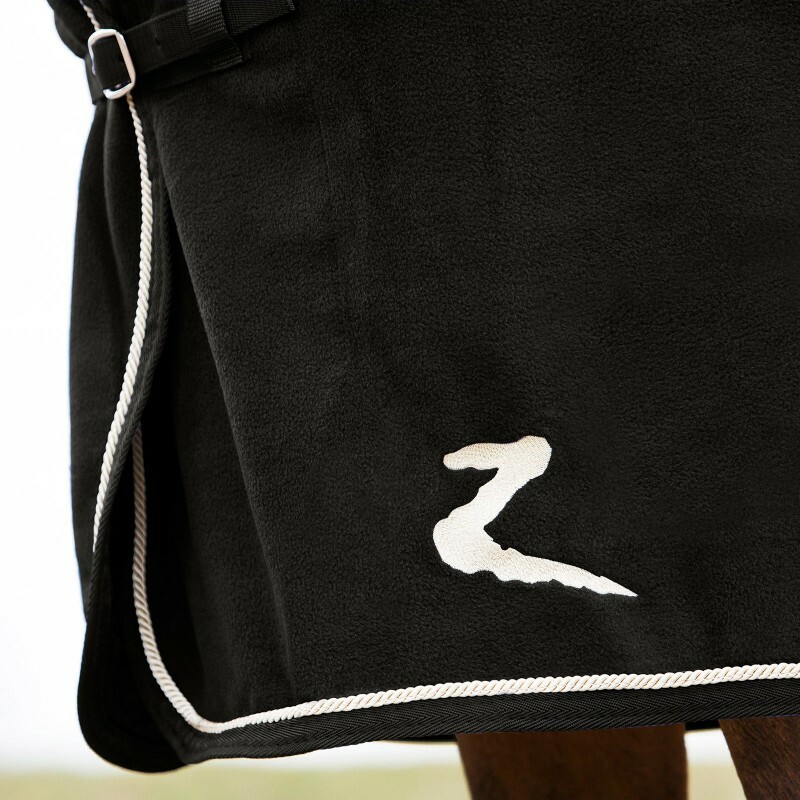 The Horze Equestrian signature Z shines on the front bottom corner in the same hue for a simply brilliant look. 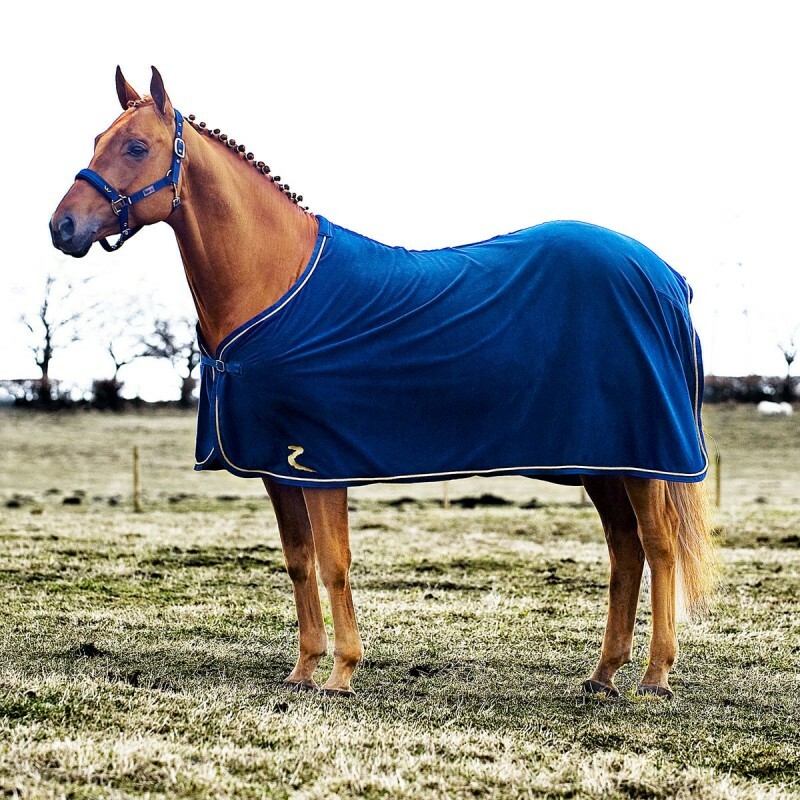 This works hard alone as a beautiful fleece cooler or dress sheet or as a blanket liner on cold, damp nights to keep your horse warm and cozy. 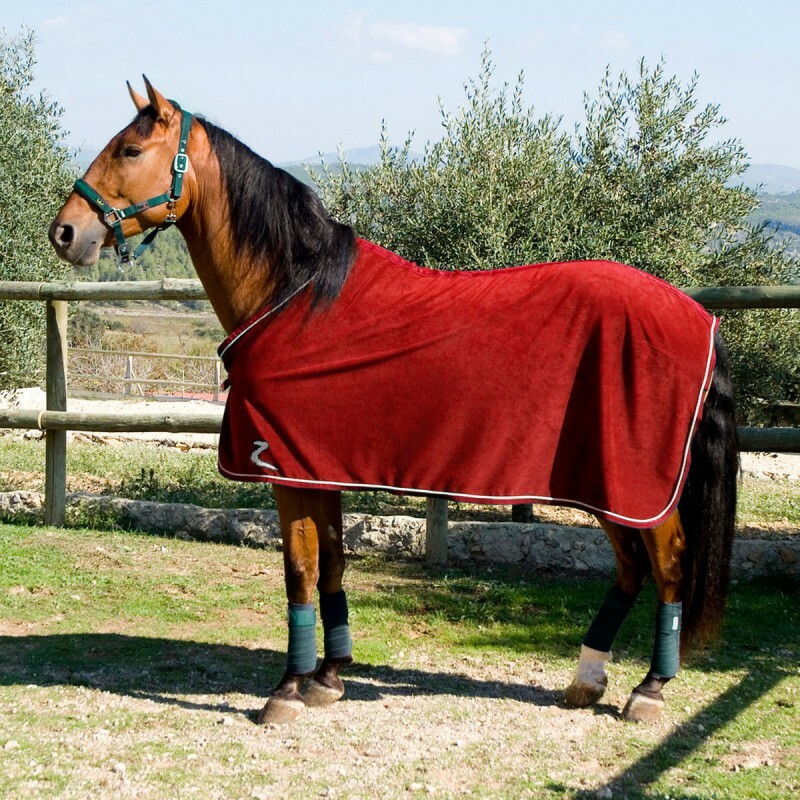 Durable, remarkably soft and high quality with a side of elegance make up this fleece cooler. To add longevity to your blankets store them on a blanket rack.